Captain Kevin Sneed is a licensed US Coast Guard Captain with a 100-Ton Master’s Endorsement and is also certified in CPR and First Aid. A fisherman since age two, he gives special thanks to his father Rodney Sneed and Grand Father Bill Sneed for teaching him the trade of charter boat captain as a child. Captain Sneed is an experienced inshore and offshore angler with over 20 years of charter boat experience. 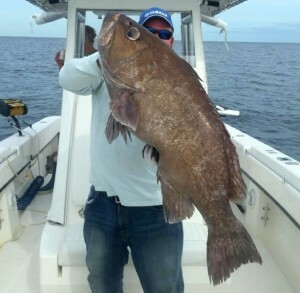 Your Holden Beach charter fishing trip is sure to be one to remember for a lifetime as Capt. Sneed has the knowledge and ability to put you on top the fish and provide you with an outdoor deep sea adventure that will keep a smile on your face for years to come. If you are looking for a Holden Beach Fishing Charter captain with the experience that is “.Born In You” you are looking for Captain Kevin Sneed. Enjoy a visual experience and a sample the delight of our customers as they show off their catch in our “Holden Beach Fishing Reports”. For more information or to book a charter on-board with Captain Kevin Sneed & Rigged & Ready Fishing Charters… Click Here! or phone 910-448-FISH. A charter with us will not be a disappointment, you have my word on it!